Wintry weather will be here before you know it, so now is a great time to focus on lawn care that will ensure a healthy lawn come Spring. While we all know the importance of raking, there are other steps you should take for a lush and healthy lawn. Learn more in this week’s blog! Now’s the time to think about autumn lawn maintenance. Just because it’s nearing the end of the season doesn’t mean you should give up on your lawn. Continue to mow and water on schedule until the first frost. As winter gets closer, you should lower your lawnmower blade to its shortest setting for the last two mowings of the year. That way your grass will receive more sunlight and there will be less grass to turn brown, which can leave your lawn looking unkempt. Aerating your soil will allow water, oxygen, and nutrients to more effectively reach your grass, allowing it to grow in more fully. For an in-depth exploration of this topic, check out our blog about the importance of aerating your lawn. 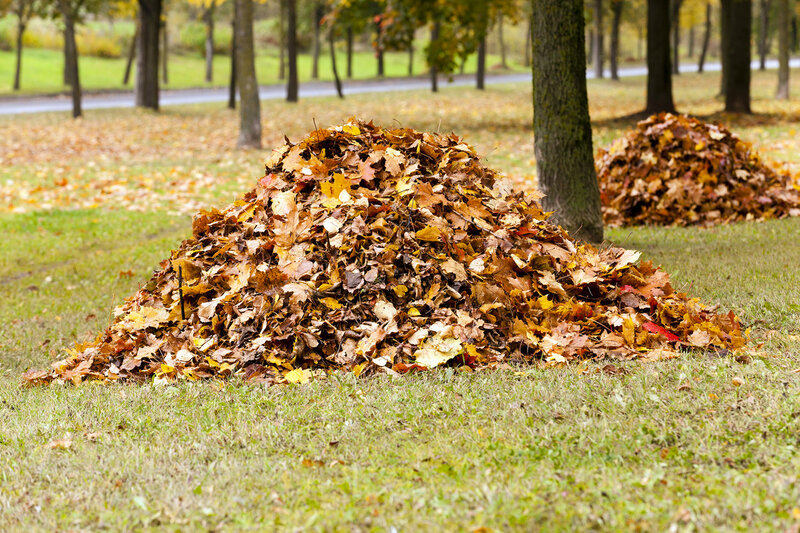 Raking leaves is often considered a hated chore, but it is important for your lawn’s health. Plus, it provides a great whole body workout! Neglecting to rake leaves can cause them to form a mat when they get wet which will prevent your lawn from receiving the water, oxygen, and nutrients it needs to thrive. 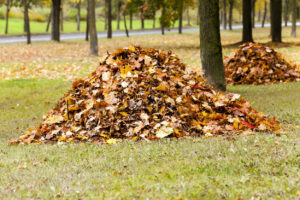 Interested in hiring a professional to take care of your autumn lawn maintenance? This entry was posted on Sunday, October 25th, 2015	at 9:00 pm	and is filed under Landscaping Maintenance	. You can follow any responses to this entry through the RSS 2.0	feed. Both comments and pings are currently closed.